Dr. Louisiana Valenzuela is a top weight-loss surgeon practicing in Tijuana. Dr. Valenzuela has performed well over 3,000 surgeries. Dr. Valenzuela was trained by Dr. Juan Corvola, but considerably cheaper. She does high volume bariatrics with the limited number of surgeries per day. Dr. Ismael Cabrera is an experienced bariatric surgeon. Dr. Cabrera graduated from the University UPAEP. Dr. Cabrera has training in both Mexico and US. Dr. Rodriguez Lopez is a young and highly-skilled weight-loss surgeon practicing in Tijuana. Dr. Rodriguez Lopez has performed well over 2,400 complex surgeries. Dr. Juan Corvala is a bariatric surgeon that works out of Tijuana’s Angeles Hospital Obesity Control Clinic. 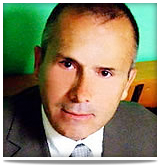 Dr. Corvala is a well- experienced surgeon that graduated with a medical degree from LaSalle University in Mexico City. Dr. Corvala trains many of today’s top bariatric surgeons. Dr. Jaime Ponce de Leon is a weight loss surgeon with over a decade of bariatric experience and over twenty years of surgery experience. Dr. Alejandro Gutierrez is a weight loss surgeon who has worked closely with Dr. Louisiana Valenzuela and Dr. Ismael Cabrera. Dr. Mario Camelo is a weight loss surgeon who has performed over 1,000 bariatric surgeries to date. Ramos Kelly, M.D., has recently been excused from various hospitals in Tijuana, including Florence Hospital. Dr. Kelly graduated from the Universidad Autónoma de Guadalajara. He performs surgeries without drains (for leakage). Dr. Pedro Kuri is a lap band surgeon working out of Angeles Hospital. Dr. Kuri has done thousands of Lap-Band surgeries and graduated from the National University of Mexico School of Medicine. Dr. Jose Rodriguez graduated from the University of Nuevo Leon. Dr. Salvador Ramirez is a weight loss surgeon who is the assistant to Dr. Alejandro Lopez. Dr. Ramirez works in Tijuana, Guadalajara, and Puerto Vallarta. Dr. Miguel Rojas is a Tijuana weight loss surgeon working out of the MAR Surgery Center (a surgery center, not a full-service hospital). Dr. Rojas graduated from the University of Nuevo Leon and a professor. Dr. Jalil Illan Fraijo is a Tijuana weight loss surgeon who was the assistant surgeon of Dr. Ramos Kelly. Dr. Illan has since started his own practice and is now a stand-alone surgeon. Dr. Sergio Quinones is a Tijuana weight loss surgeon practicing in Tijuana, Mexico. Dr. Quinones works out of his own facility, Pompeii Surgical. Dr. Omar Fonseca is a Mexicali bariatric surgeon working out a full-service hospital. Dr. Fonseca graduated from the Universidad Autonoma de Baja California. Dr. Juan Arellano is a Mexicali bariatric surgeon that performs all the major surgery types including intragastric balloon and duodenal switch. Dr. Guillermo Alvarez works in Piedras Negras using a full service hospital. Dr. Alavarez graduated from the Universidad Autonoma de Nuevo Leon, Monterrey, Mexico. Dr. Gabriel Rosales works in Piedras Negras and Monterrey using a full-service hospital. Dr. Alavarez graduated from the Universidad De Monterrey in Monterrey, Mexico. Dr. Felipe Cantu is a weight loss surgeon in Reynosa, Mexico. Dr. Cantu graduated from the Tecnologico de Monterrey – Monterrey, Nuevo Leon. Dr. Miguel Zapata is a weight loss surgeon in Monterrey, working out of the Muguerza Sur Hospital, a JCI hospital. Dr. Zapata graduated from the University Autonoma de Nuevo Leon School of Medicine. Dr. Robert Rumbaut practices in a JCI hospital. Dr. Rumbaut graduated from the School of Medicine Ignacio A. Santos. Dr. Jacqueline Osuna is a bariatric surgeon who is wife of Dr. Alejandro Lopez. She is a bariatric surgeon in Guadalajara as well as Tijuana. Dr. Osuna graduated from the University of Guadalajara. Dr. Alejandro Lopez is a bariatric surgeon. Dr. Lopez performs weight loss surgeries in Guadalajara. Dr. Armando Joya works out of San Javier Marina Hospital in Puerto Vallarta – it is newer fully-equipped hospital. Dr. Joya is a professor at the University of Guadalajara. The information we gathered from this site comes from a lot of different resources. We scour the weight loss surgery forums for trusted patient reviews, testimonials, and input on surgeons. We cover boilerplate information from a doctor’s and sometimes hospitals’ website. We read reviews from patients on sites like ObesityHelp and the like. After all the content is gathered, we provide a detailed examination of the weight loss surgeon with a relative (star) rating. Focusing solely on price is a bad choice for must patients. A surgeon performing more than four weight loss surgeries per day is too taxing to be sustainable. This is why we recommend patients find surgeons who work out of full-service hospitals, surgeons who perform their operations (rather than ghost surgeons), and surgeons who have better hand/eye coordination for endoscopic proficiency. * Complication rates are based on data, whenever available, about the doctor’s surgical complication rates for weight-loss surgery. When the icon is shown, the surgeon’s complication rate is deemed excellent. * Single-Incision Laparoscopic Surgery, otherwise known as SILS or single port incision, is the latest breakthrough in bariatric surgery. With single port incision, surgeons can perform the same operation through one port providing patients with a host of advantages including, fewer scars, less scarring, faster recovery time and a better aesthetically-pleasing abdomen. Why undergo weight loss surgery in Mexico?